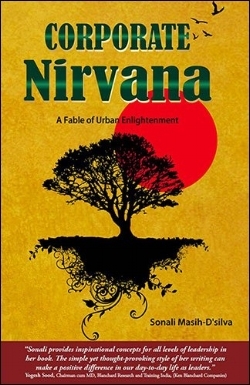 Sonali D'silva is the author of a book on personal leadership called, Corporate Nirvana. She is working on her second book called the '25 Practices of Inclusive Leaders'. Find out more about both her books below. She also regularly writes business and management development articles. Sonali has written extensively over the years on leadership development, cultural competence and personal effectiveness. Her writings have been published in mainstream media, and her blog on LinkedIn is followed and read by thousands of business readers every month. Sonali writes on themes of Inclusive Leadership, Gender Equality & Women in Leadership. 25 Practices of Inclusive Leaders is shaping as a handbook for leaders who care about being inclusive of their diverse team and customer base. The book shares 25 practices that can help you be an Inclusive Leader and sustain a team culture of safety, belonging and connectedness. Being inclusive is the bedrock of any diversity agenda, without that, diversity is not likely to stick and won't matter in the long run. Look around you, we are not becoming more stable and predictable as a workforce or as a customer base, we are becoming more diverse and challenging to lead and succeed. What might really support you as a leader is to add the ingredient of inclusivity to your mindset and skillset, so you can engage with your team, and those around you, in a way that focuses on everyone's cultural and personal strengths. Understanding and exercising these 25 practices can build you up to be a leader who helps their team embrace their differences and learn to work with them effectively and with awareness. It's a great time to be an Inclusive Leader, and not just an effective one. Buy Corporate Nirvana for several inspiring lessons in leadership.